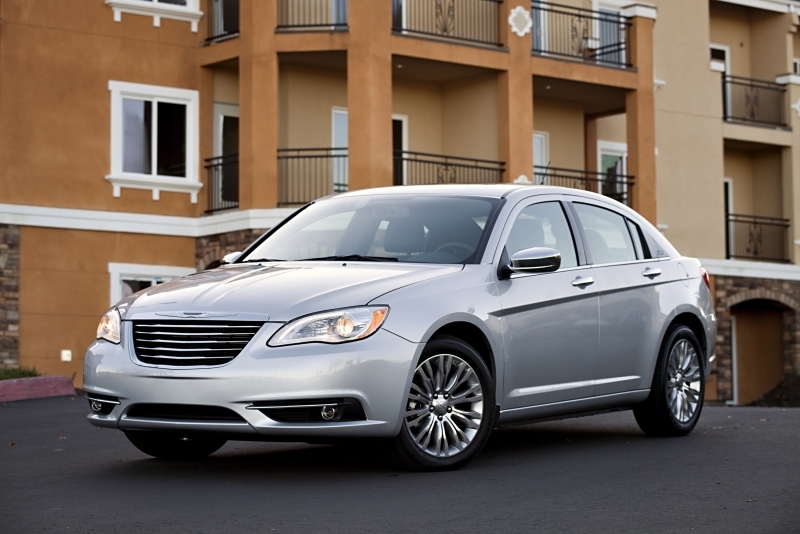 While the name is new, the 2011 Chrysler 200 is not technically a new vehicle; it's actually a dramatically redesigned version of a rental-fleet favorite, the Chrysler Sebring. The brief backstory is this: when Fiat joined with Chrysler, the need for a new four-door sedan with the ability to compete against the Toyota Camry and Honda Accord became apparent, and so the 200 was envisioned and pushed to production in just one year. And in every way, it's a huge improvement over the outgoing Sebring. The 200 features a new hood, headlights, taillights and fascia, among other exterior improvements, and the interior possesses some refinement as well, despite the dismal infotainment setup. But the most impressive change is found in the drive – a usually overlooked area in the family sedan segment, which is a more engaging experience overall. A new 3.6-liter V-6 is the star engine and a better choice over the carryover 2.4-liter, which is anemic, to say the least. So the big question is this: can the 200 steal sales away from the strong performers in this segment? This quick turnaround may have been a little too hasty for that, but smart pricing and improved styling have it heading in the right direction. 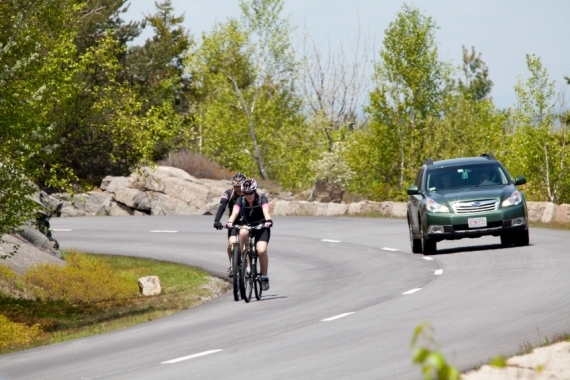 3.6-liter engine is a strong performer and one that can go head-to-head with others in the segment. Pricing – at just under $20,000 to start – is spot-on and undercuts nearly every other competitor. Headroom and trunk space are ample. The drive is much improved over the outgoing Sebring. Retaining the old Uconnect system as the 200's infotainment system is an unfortunate choice; it's outdated and unintuitive. The exterior design, while improved, isn't good enough to truly compete with the heavy hitters in the sedan class, and neither is the interior, for that matter. Its four-cylinder engine is underwhelming, and gas mileage isn't as impressive as some of the newer models in the segment. Let's recall the Sebring for a moment; the drive was soft and sloppy, steering was vague and loose and only anemic engine choices were on offer. It's with great pleasure we reveal that the 200 suffers from none of these traits. Yes, the 2.4-liter engine is a disappointment, but the V-6 can get the car over hills without a fuss. Handling and suspension are taut, and the steering has plenty of feel to it. Minor quibbles are found in the gearboxes, which are a little sluggish – expect new ones in the next iteration, and in the throttle, which has a slow response time. The 200 is no sports car, and it doesn't have to be. It's now a car that keeps passengers comfortable and drivers interested, as a midsize sedan should. A 2.4-liter four-cylinder engine with 173 horsepower is standard on all trims and is paired to a four-speed automatic transmission in the base LX and a six-speed automatic in the Touring and Limited. With both the Touring and Limited you can opt for the more powerful 3.6-liter V-6 engine with 283 horsepower. Power is sent to the ground through the front wheels only. 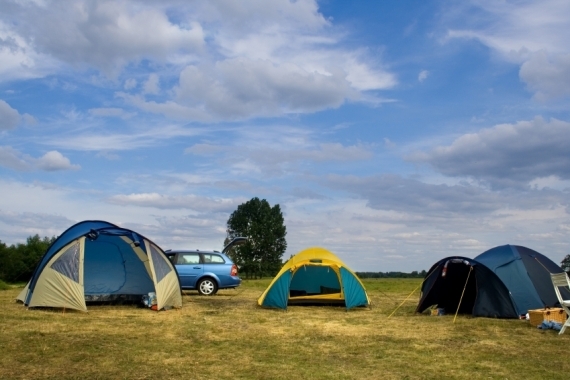 The base model is designed to keep pricing low, which means it's fairly light on the extras. Despite this, an auxiliary input jack, tilting/telescoping steering wheel, manual lumbar support and traction and stability control come standard. 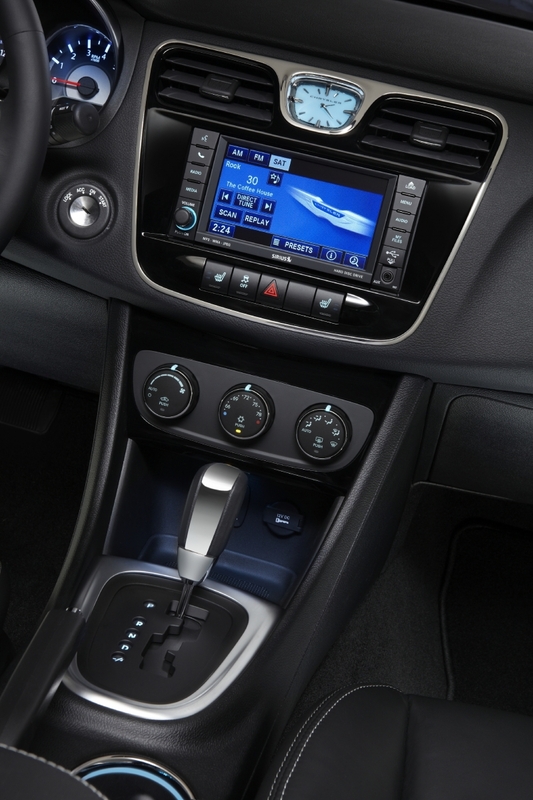 On the pricier trims you'll find an upgraded audio system with voice command, a USB port and leather and heated seats. 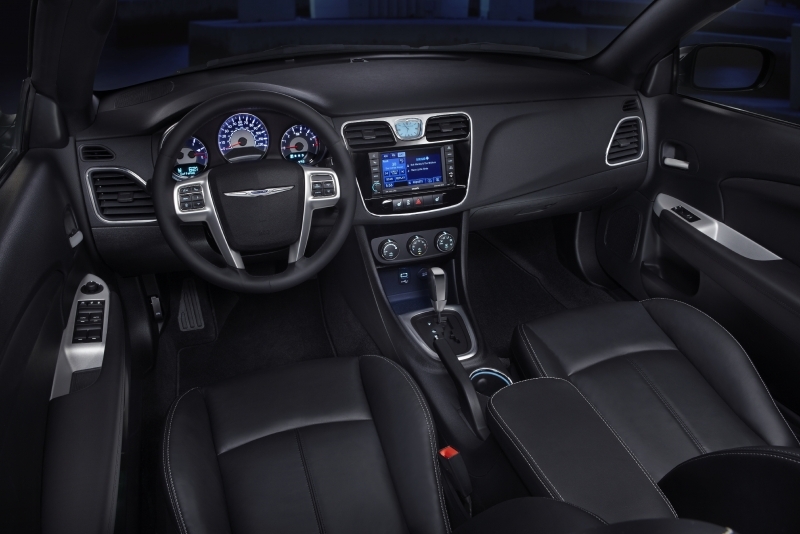 Timing made it impossible for Chrysler to include the next-generation Uconnect system, which means 200 buyers are stuck with the first-generation system – a woefully outdated way to pair your phone, search through audio and navigate. Graphics are poor and functionality is limited. It does, however, have Sirius satellite radio compatibility and nav traffic on some trims. Both of the 200's engines are fairly frugal, at 19 mpg city, 29 mpg highway for the V-6 and 20 mpg city, 31 mpg highway for the four-cylinder. Neither holds a candle to the Sonata's 35 mpg highway though. The new V-6 is a flex-fuel engine, which means it's compatible with E85, an ethanol-based fuel. Much improved all around, the 200's interior contains plenty of soft-touch materials and chrome. The center stack is nicely laid out, though we found there to be a shortage of storage space. All seats have ample leg and headroom. The steering wheel contains controls for cruise control and audio, among other functions, and a heads-up display within the gauges lets you scroll through vehicle information. Regardless of the dome-like roofline, the exterior of the 200 is miles better than the outgoing Sebring. The new grille, fascia, hood, wheels and LED-accented headlights and taillights all help to modernize the look. The car's been lowered, and you have a choice of 17- or 18-inch wheels. 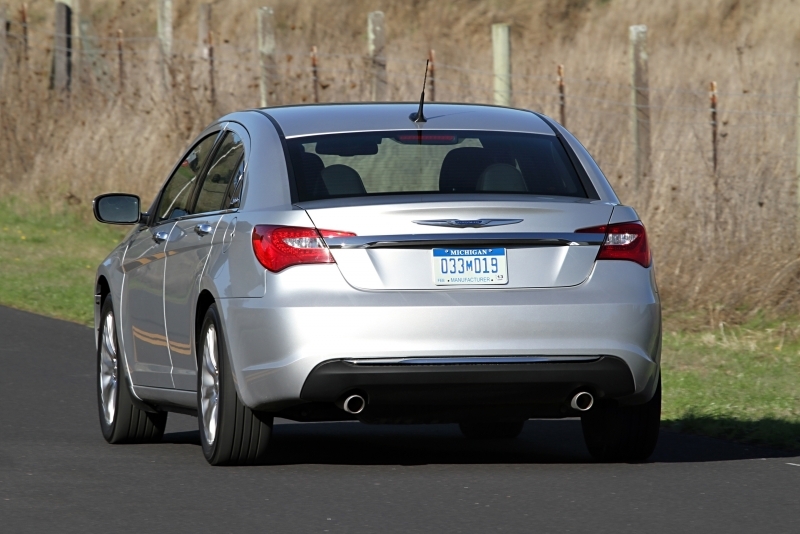 In a smart move, Chrysler priced its 200 under all of the main competitors, including the Hyundai Sonata, Honda Accord, Toyota Camry and Nissan Altima. However, this segment is a packed one, and grabbing a chunk of the market share isn't easy. 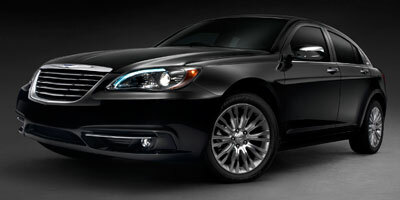 Starting at $19,245, the sedan's price rises to $20,950 for the Touring and $23,745 for the Limited. Since its partnership with Fiat began, Chrysler hasn't wasted any time getting new iterations of its products to market, as we've seen with the 300 and nearly the entire Dodge lineup. The turnaround for the 200 is particularly impressive, and so are the improvements over the outgoing Sebring. The only problem, and it's a big one, is that while the 200 is a big step away from the Sebring in all areas, it's simply not better than the offerings from other manufacturers, especially in refinement and technology. Saying that, if they can deliver an improvement of this size in just a year, we're looking forward to seeing what comes next.